Four and half years ago, I was fired from Mars Hill Church because I refused to resign under pressure. I was a pastor on staff, an elder, and an officer of the corporation along with a group of other men. I spent months seeking formal reconciliation and years hoping for a better course. I have not spoken about these matters publicly until now. 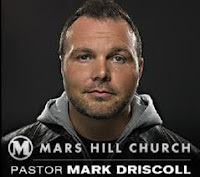 With the mounting stories and “histories” coming out regarding Mars Hill Church, it no longer seems right or beneficial to remain silent. Continue reading from the Joyful Exiles blog here.